"Great fun to build. Great fun to use. Especially with home tied flies. 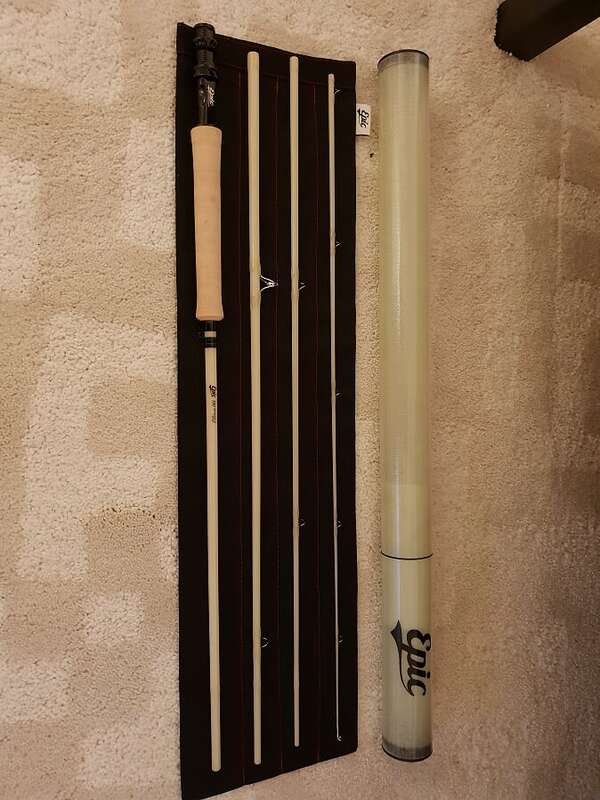 The rod can handle heavier than 4 wt lines too. " 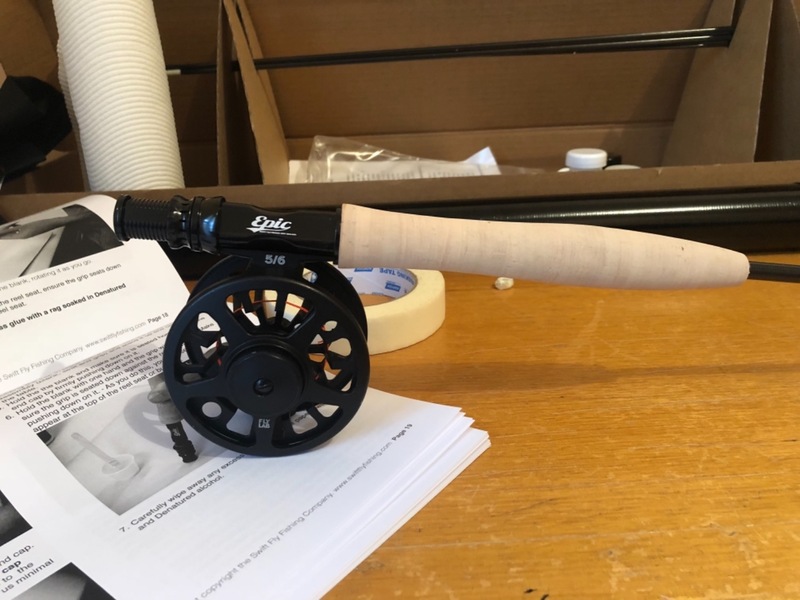 "Purchased a 580 glass rod ,olive colour with black reel seat and inscription couldn't be happier,rod looks fantastic and casts beautifully with the glass line to match ,ordered the rod which only took a bit over 2 weeks to arrive at my door ,"
"Again, quality goods only ! Great to look at, great to build on and, really great to cast. My second go with this blank (high confidence from the first one) and I had to check out the "sure fit system", Perfect match ! what a great system." "Just got back from Belize, using this rod. The rod turned out great. It takes a bit to get used to casting with the slightly slower speed rod in the heavy wind out on the flats, but catching those powerful fish on this rod is more than fun. Rod casts well and can put a lot of power on the fish. Excellent product for my second FastGlass!" "Hi Haley, thanks for getting in touch regarding my purchase of the 686 Rod Kit, I haven’t actually started the build as yet, 2 reasons, my wife is due to have surgery in a weeks time and I’m also in the process of building a Rod Drier and also a Mechical Power Wrapper, I will of course do a hand build firstly and then graduate to the Power Tools, I’m looking forward to taking this project more seriously with future builds. I will of course keep you informed of my progress and look forward buying more kits in the near future. 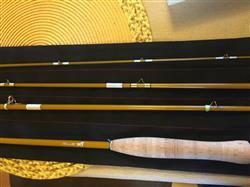 Best Regards, John Cotton"
"The rod is the finest I've ever fished across Orvis, Sage, Winston to mention a few. 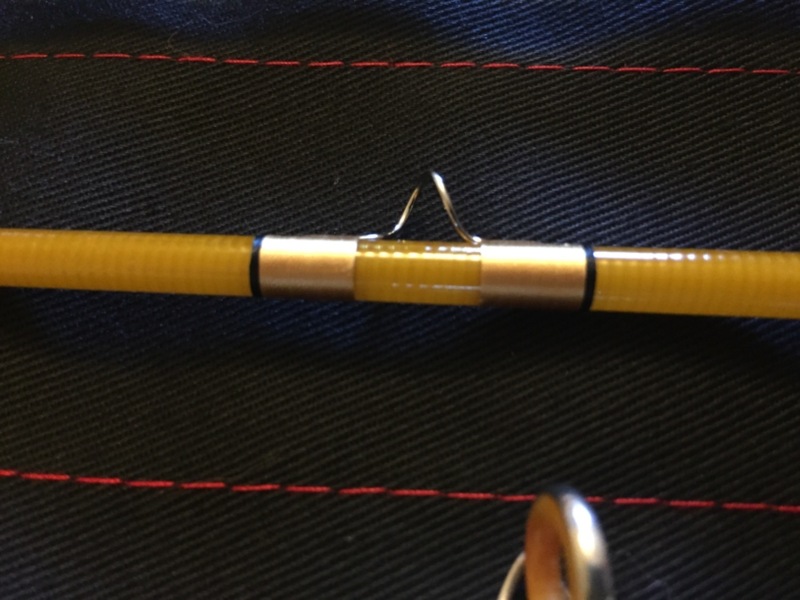 You can feel it load well and the tip is ideal for setting hooks, just right. The combo is excellent although the reel developed a squeak which you remediated for me. Nonetheless, a little more care by Ross in ensuring reels come to you properly lubricated would be desirable. Despite this minor observation, I was delighted with the combo and look forward to many years of usage. Kind thanks!!" "In the process of finishing the blank so I haven’t fished it yet, but everything looks great. Outstanding customer service as well!" "I couldn’t be happier with the build kit for the 580 fastglass. Materials are absolutely amazing, directions are concise and detailed, and customer support has been quick and helpful. The rod itself is extremely well thought out and I know it’s going to be a true workhorse. It feels absolutely incredible in hand. Overall it was a great experience from start to finish and I look forward to building many more of these in the future. " "Excellent product. Great craftsmanship. " "I love the new 686. It seems to cast with a little more authority and I was pleased with the end quality of the build!!" "Hello from Germany I bought the epic blem kit. Had previously built only one rod itself. The kit is ab... Mehr Feedback Zu Deutsch wechseln Hello from Germany I bought the epic blem kit. Had previously built only one rod itself. The kit is absolutely great. So even a beginner without problems can build his own rod. The blank is extremely fast and great for throwing and drills. Will definitely buy me a kit again. Google Übersetzer"
"I ordered a 686 Kit during Swift’s Blem sale. The kit is well thought out with high quality components. I can’t find the ‘blem’ on my blank, it’s spotless. 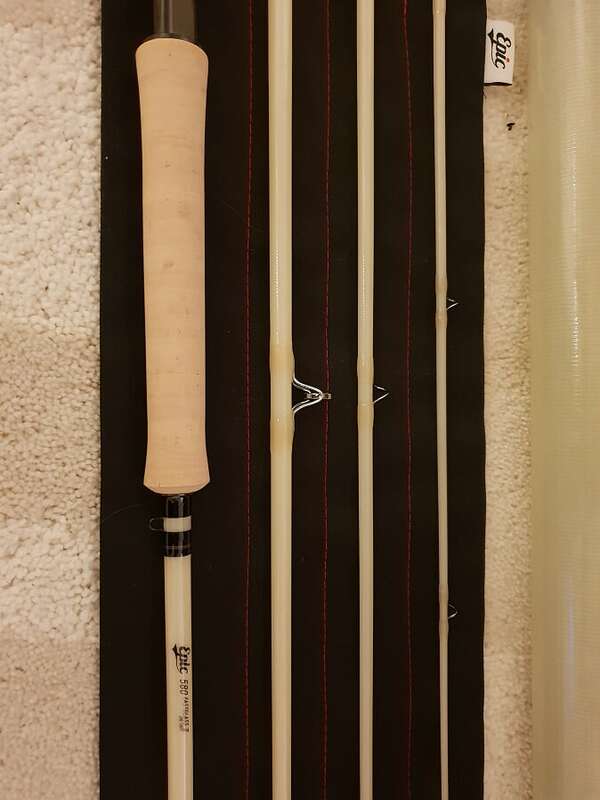 I thoroughly enjoyed the process and the final product is beautiful despite this only being my second rod build. The 686 is an outstanding #6, perfect for banging the bushes in little snook ponds way back in the Everglades. I paired the rod with a Cortland Guide WF6F and it’s great upclose with plenty of reserve power to shoot 80’. This is my first Glass rod and I enjoyed the build and the outcome so much I plan to order a Bandit blank to pair with the 686 this winter. " "I'm really pleased with the way rod responds. So easy to cast and perfectly matched with the reel. Dealing with the team of Epic was awesome, everyone was extremely helpfull. Can't wait to purchase my next one. 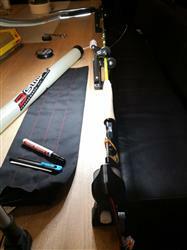 Jakub Leder"
"Great, neat system that lets me easily access my stroft tippet. Especially like the integrated cutting system "
"I finally pulled the trigger on getting the 888 FastGlass 2 Build Kit and boy am I glad I did. Carl and the crew did a great job on the manual, making it very easy to understand and follow along. 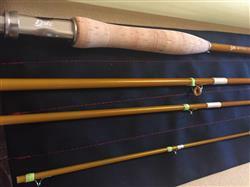 I highly recommend giving this kit a try if you are looking to build a fly rod. " 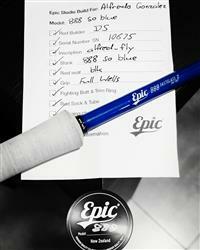 "I have bought three epic rods now, what can I say, the name says it all..."
"Great stuff from Epic Swift. It turned out ok considering it was my first build ever. Easy to follow the instruction book. But maybe some youtube movies would make it even easier, specially for a rookie fly rod builder like me. 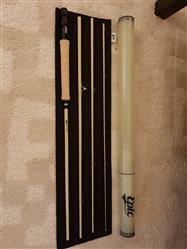 Have used the rod a couple of times, love the action and great rod to catch fish on. can highly recommend it, great customer service from NYZ"
"Everything went smooth, and the quality is outstanding.haven't built it yet but soon thanks." "Blank arrived pretty fast for something coming from around the world. Haven’t built it yet, but it looks and feels amazing so far. Love the color of the blank, the rod tube, and the sock. I also love the way the sock closes, instead of having to fold it over and then tie it, you just turn the cover flap inside out, kind of like a sandwich bag. Once I build it and get it out on the water, I’ll give an updated review. This will be my first custom fly rod and, I’ve only been fly fishing for about 4 months now, so I can’t give a proper review, but for people who aren’t seasoned fly fishermen, I’ll do the best I can!!" "I purchased a 686 fastglass kit in salsa during the blemish sale. Throughout all of assembly, and now several river outings, I am still unable to find the blemish! 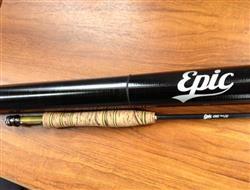 This rod is beautiful and the salsa finish is immaculate. Heavy nymph rigs and streamers were my intentions for this rod, however, I’ve even tossed size 20 dries on 7x with ease! I am a first time customer, but definitely not a last time customer. 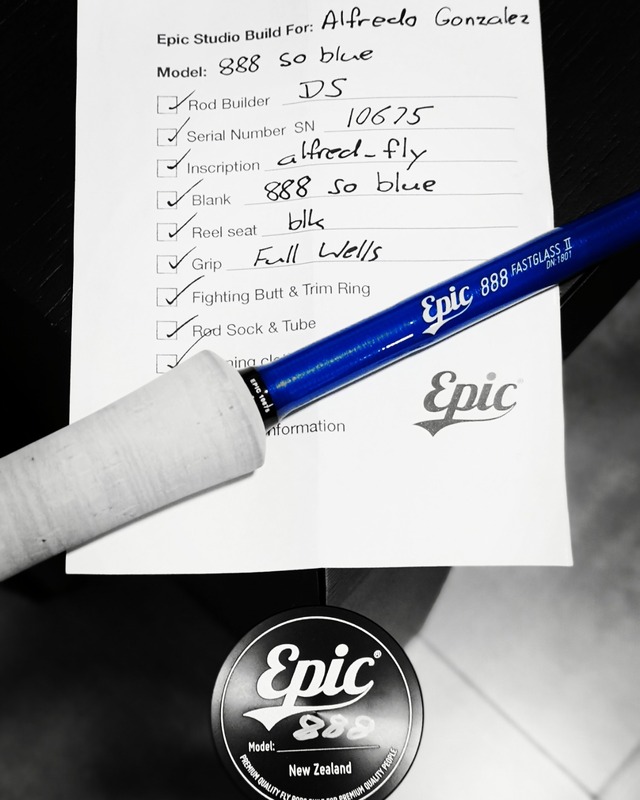 Very pleased "
"My recent purchase of the 590c has been really good it been really enjoyable wrapping the guides and I look forward to finishing it and getting some fish"
"The best line nippers I have used"
"This is my third purchase of a fly rod kit from Epic. I have built a 10 wt. 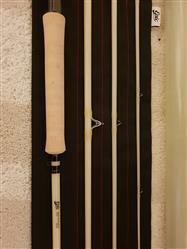 fly rod, a 3 wt. 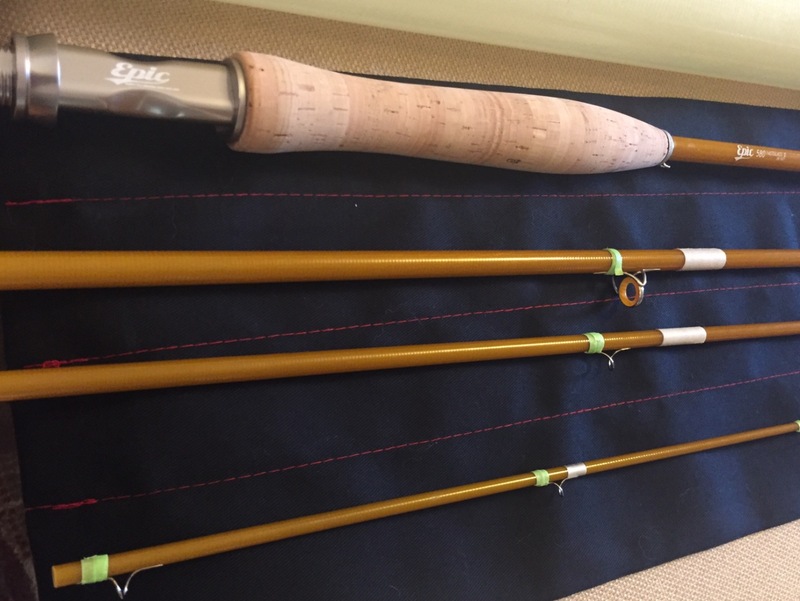 fly rod, and now a 6 wt. rod. The builds have been extremely satisfying, everything was provided, instructions were clear and to the point. The components were top notch. I highly recommend these kits for first time or experienced builders." 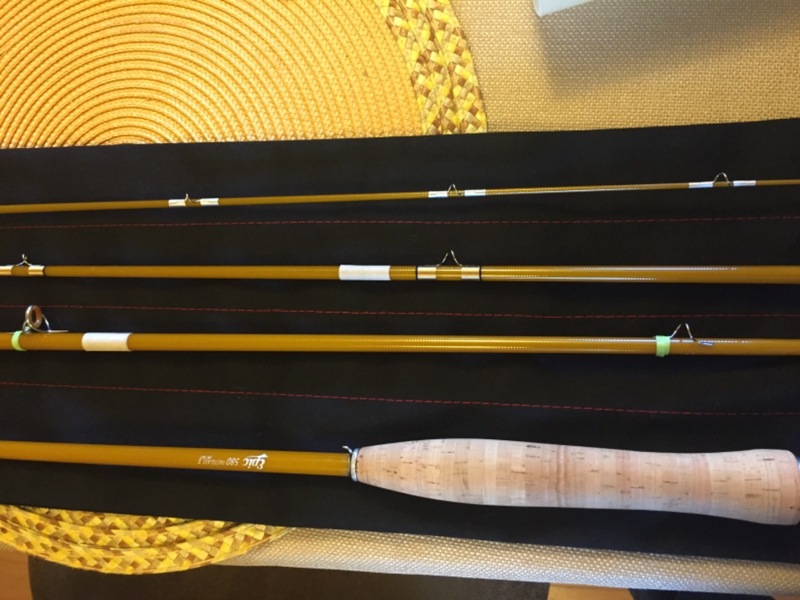 "Long story short, the rod lives up to its name. Truly Epic! Was an absolute pleasure dealing with the people at Swift Fly fishing!" 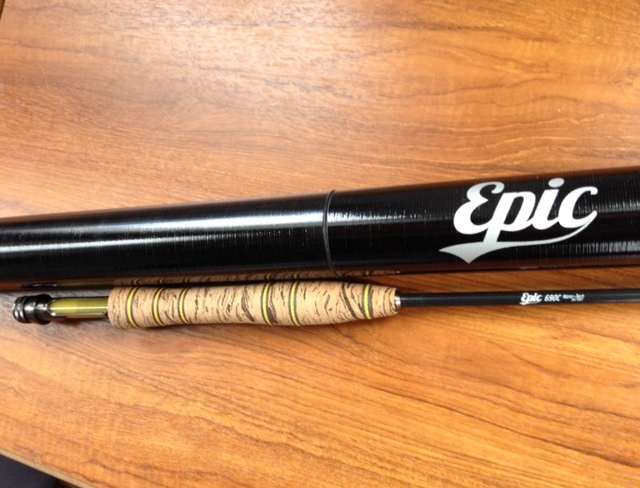 The ultimate spring creek rod? "As expected, the kit was flawless and I built it up to look nice and traditional. Paired with the Glassline DT-4, it's fantastic. To the point that I haven't even tried a different line. Delicate presentation and a surprising reach, and that glassy feel in the hand." "This is an excellent line and pairs perfectly with a 480. Soft presentations, and shoots line far better than I'd expect such a soft rod to do. Just magic." "The 686 throws a wide variety of lines, in my hands everything from DT-4 to WF-7, but the Glassline WF-6 is distinctly the best match. I'd been so happy with the performance with other lines, I was surprised that the Glassline could be that much better." "What blemish ? To be honest, I struggled to notice a fault. Same warranty, how can you go wrong ! Such great value I figured I could build one to offer mates a crack on it, which I was hesitant to do before. " "La caña perfecta... Realmente impresionante, el acabado, la acción.... Todo perfecto... Estoy muy contento de haberla comprado... No tardaré en comprar otra.. El servicio excelente... Enhorabuena"
"My fourth Epic rod build, a DH1306, went pretty much the same as the first three. A kit arrived, I put the components together, exactly as per the included instruction manual, then wrapped the guides. No modification, no misfits, no headaches. Job done. Easy. The result? A rod as responsive as any I have ever cast. Well done, Swift people."